For this month’s safer skincare post, I’ll be chatting about the problems and pervasiveness of heavy metals in your makeup and how you can avoid them! 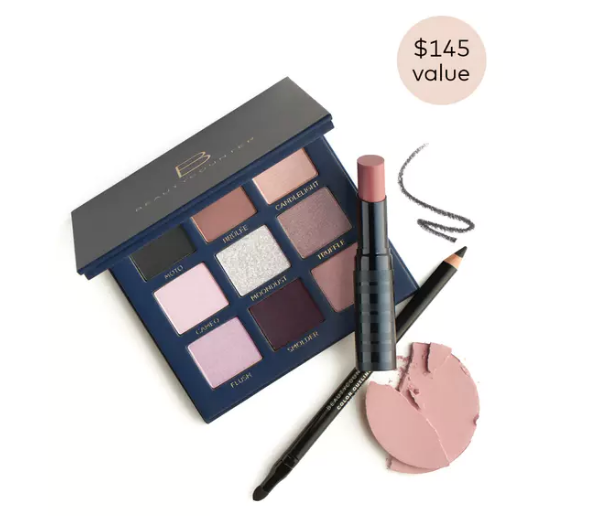 Be sure to scroll all the way to the bottom of this post for my April Beautycounter gift! WHAT ARE HEAVY METALS & WHY DO THEY MATTER? Heavy metals are found naturally in the earth but become more concentrated with human activities like mining and manufacturing. Common routes of exposure include air pollution, dental procedures (mercury amalgams), water (arsenic), food, cigarettes, work, school, the home environment (i.e. lead in paint) and color cosmetics including children’s play makeup and face paint. Many heavy metals have been demonstrated to be harmful to humans. The metals lead, cadmium, mercury and arsenic pose some of the biggest risks to health. 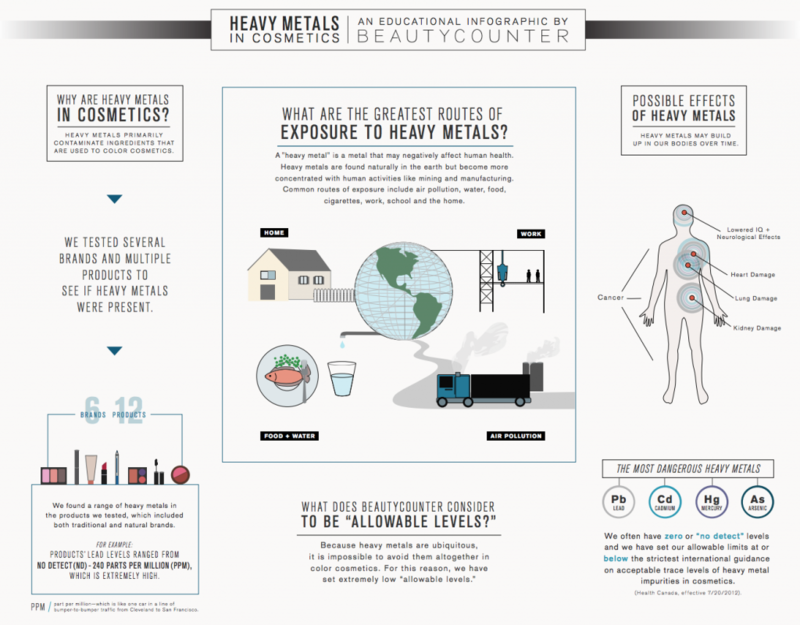 The effects of heavy metal exposure can include lowered IQ, neurological effects, cancer, headaches, extreme irritability, and kidney, lung and heart damage (Heavy Metals in Makeup, Beautycounter). Heavy metals can be particularly problematic for children whose detoxification systems cannot handle the environmental assault of even a minor amount of heavy metals. Neurotoxins like heavy metals can have dramatic effects on a child’s intellectual and physical development (EWG). 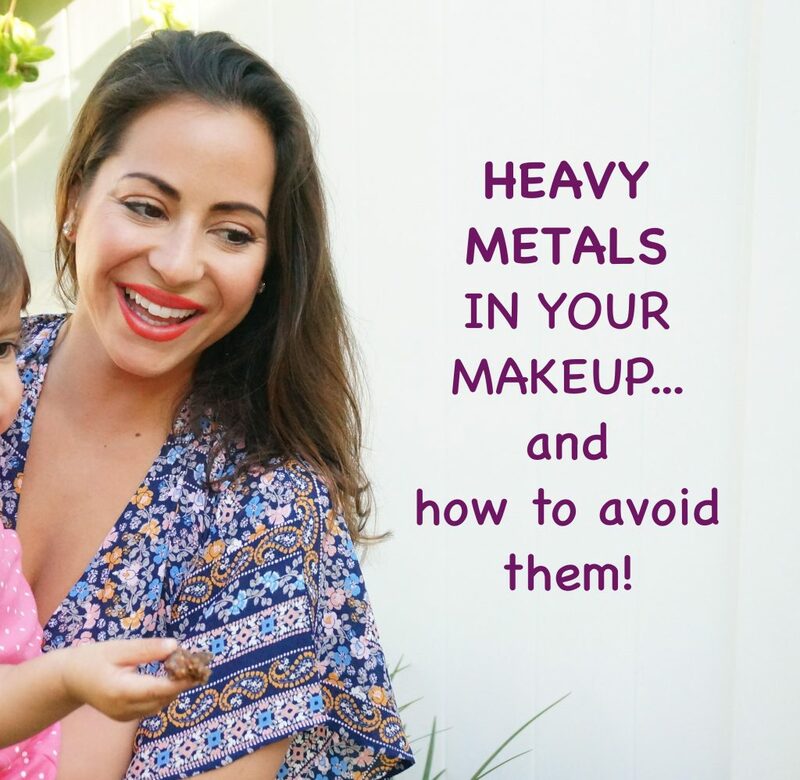 HEAVY METALS IN MAKEUP: HOW COMMON IS THIS? 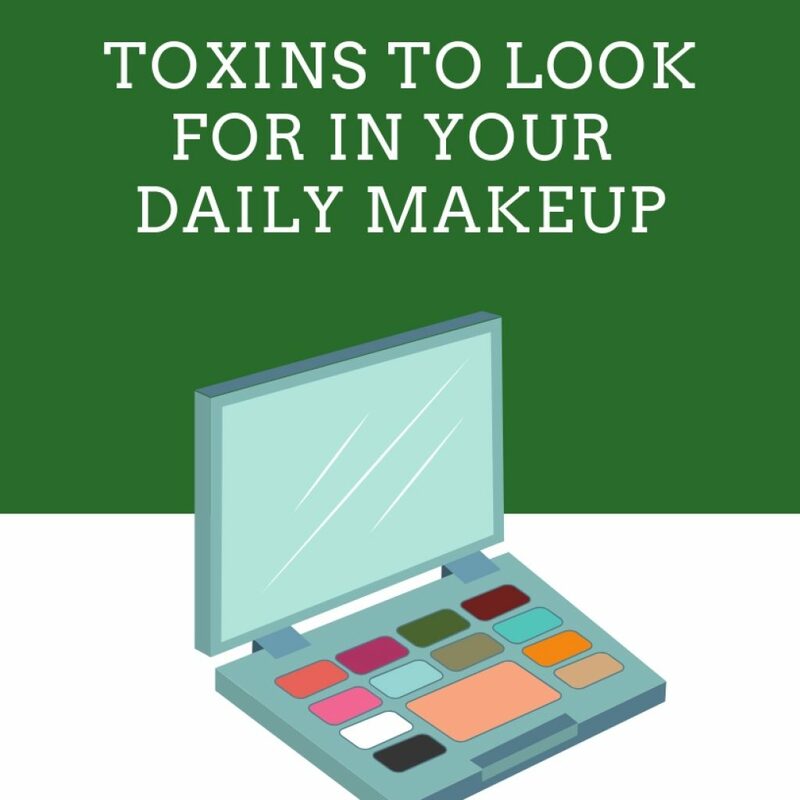 Companies do not intentionally include heavy metals in their makeup yet their ingredients are often contaminated with these harmful compounds. Beautycounter tested several luxury and natural brands’ makeup via third party testing and found that every single product tested had some level of heavy metal in it. 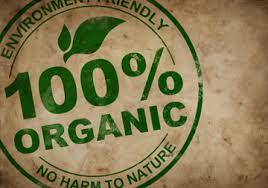 However, heavy metals are frequently found in makeup because they contaminate the colorants that companies use. Whether those colorants are natural ingredients that come from the earth (where heavy metals are present at random and may attach to the intentionally mined ingredients), or whether they are synthetic, heavy metal contamination can be found in both luxury and natural brands (Heavy Metals in Makeup, Beautycounter). Currently, the FDA does not require companies to screen, test or limit heavy metals in their cosmetics. If a company discovered dangerous levels of lead in their lipstick, they do NOT have to recall the product. 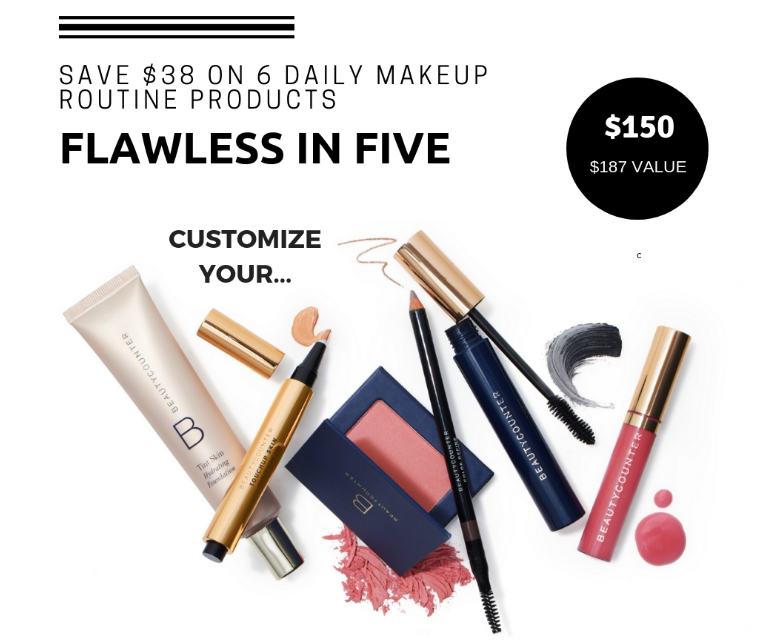 Beautycounter sends every single color cosmetic to a third-party testing facility during formulation, at the end of formulation AND then during every single production batch going forward. Beautycounter tests for 12 heavy metals: antimony, arsenic, barium, beryllium, cadmium, chromium, cobalt, copper, lead, mercury, nickel and selenium. Our goal is to achieve non-detectable levels of heavy metals in all of our products, and we have established extremely low level limits for all metals, much lower than Health Canada’s current allowable levels (some of the lowest in the world). You can feel confident using TRIPLE TESTED products from the only brand I am aware of that screen, tests and reformulates for heavy metals. Beautycounter’s #1 mission is to provide safer products for everyone, which is why we’ve also expanded our lipstick line to compete with long-wearing, high-performance department store lipsticks. Okay, I don’t think I’ve ever been this stoked about lipstick in my LIFE! Our newest makeup line is the Color Intense Lipstick Collection which includes 8 BRAND NEW shades from neutrals to pinks and bold reds – a color for every skin tone! Here’s a cheat sheet to help you choose the best colors for your skin! Lipsticks are similar to foundation – you should know if you skin is warm, cool or neutral to choose the best shade. The first safer LONG-WEARING, ONE-SWIPE, GLUTEN-FREE, SOY-FREE, NUT-FREE & VEGAN LIP STICK YES!! For almost 3 decades, I slathered coconut-scented drugstore sunscreen all over my body for a good part of the year. When you grow up in Florida and spend as much time outside as I do, protecting yourself from the sun is important. While our beautiful sun provides us necessary vitamin D, boosts mood and regulates circadian rhythms, it can also can premature aging and skin cancer. Why sun exposure is important for health. Unprotected sun exposure allows for vitamin D synthesis through a metabolic process that involves the conversion of a vitamin D precursor to the useable form vitamin D3. Vitamin D3 can also be consumed through supplementation but sun exposure is more ideal, if possible. Vitamin D insufficiency has been linked to multiple sclerosis, cancer, neurological disorders, decreased immune function, mood disorders and insomnia. Spend a day outside at the beach and note the mental and physical benefits – a better night’s rest and an improved mood almost instantly! Most people with fair to medium skin receive enough vitamin D conversion with 15 to 20 minutes 3 days a week of direct sunlight on 50% or more of skin exposed (i.e. arms, legs & back) during summer months. Darker skin individuals need longer unprotected exposure for similar vitamin D conversion. During fall and winter months, aim for 2x this amount of time 3 days a week at minimum. But too much of a good thing can be a bad thing. We do need to protect our skin from the sun’s UVA rays which are associated with premature skin aging and UVB rays which are associated with the development of skin cancer. What’s in common chemical drugstore sunscreen? Found in blood, urine & breastmilk samples from American population, meaning it penetrates the skin and infiltrates our circulatory system. This is a carcinogenic form of vitamin A that speeds the speeds the development of skin cancer when skin is exposed to sunlight… yes you read that right! Vitamin A toxicity can occur if applied in large amounts and repetitively over time. That familiar, noxious “sunscreen” scent may bring up feelings of nostalgic childhood trips to the beach, but it’s actually an unregulated harmful toxic that has been linked to allergies, immune toxicity and dermatitis. Companies don’t have to tell us which chemicals they use in their “fragrance/parfum” which is the most troubling part of it all. A note on SPF: No evidence exists that an SPF of greater than 50 provides a higher level of sun protection. In fact, many sunscreen manufacturers boost the perceived SPF level which only protects against UVB rays without increasing the UVA protection giving consumers a false sense of safety that they are properly protected from both types of rays. Mineral sunscreens provide quality, long-lasting broad-spectrum protection from premature aging and skin cancer without any of the above potential for toxic harm. Mineral sunscreens include zinc oxide and titanium dioxide, most commonly, and appear slightly white when applied. There is no evidence of hormone disruption from either of these minerals and they are unlikely to cause an allergic reaction. Not all mineral sunscreens are created equally though. The suspension ingredients in some mineral sunscreens can still include some known harmful toxins that you may not want to put on your skin (and likely in your bloodstream). The trick is to find a company who screens and tests their suspension ingredients for safety like Beautycounter & Badger. 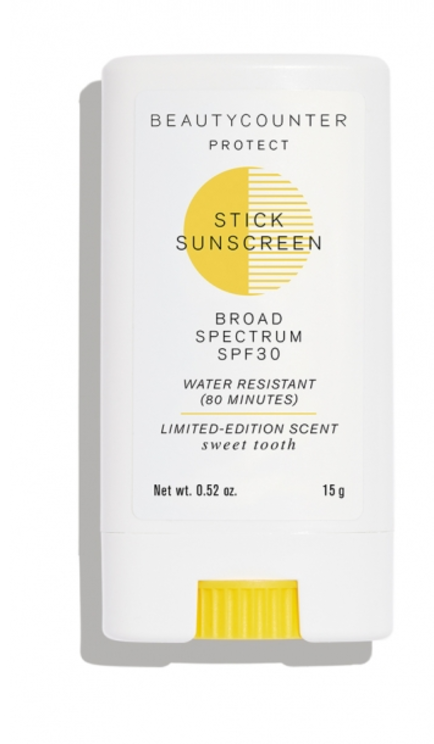 This sunscreen has the lowest hazard rating in EWG’s Skin Deep Database while many of the drugstore brands sit in the avoid-at-all-costs high hazard categories. I use all of Beautycounter’s Sunscreen products on myself and my daughter. I used to break out in a fine, red skin rash from drugstore sunscreens (likely from the oxybenzone) and am happy to report, I have not experienced a single reaction from these products! Neither my daughter nor I have burned while using them either! 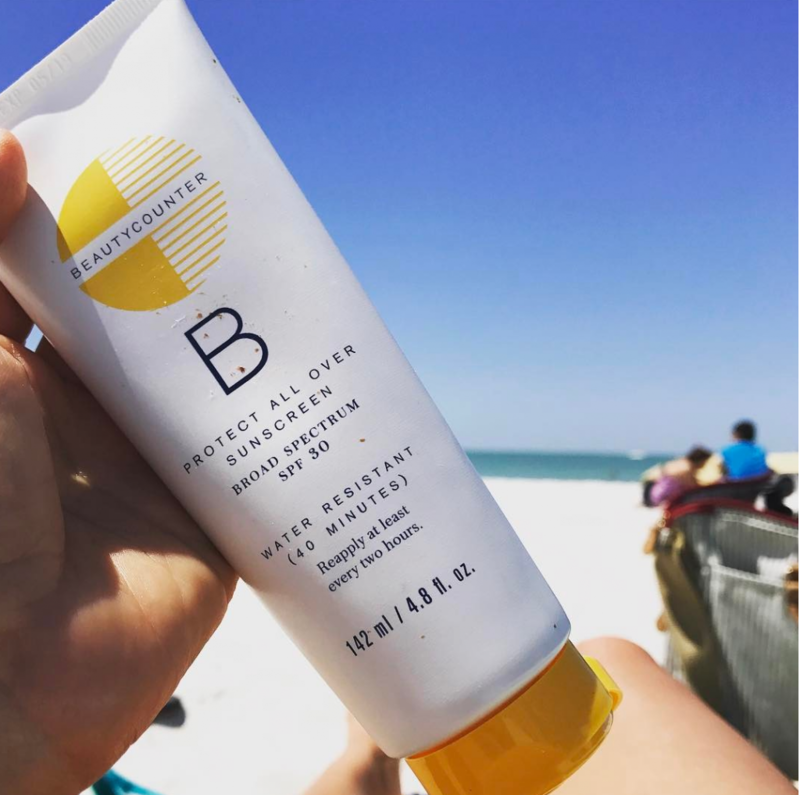 This sunscreen is easily portable, easy to apply to the hard to reach places like ears, the back of youDonr neck, and shoulders AND it smells amazing (just a little like fruit and cocoa butter). I keep it in my diaper bag and one in my stroller so that I am always able to protect myself and my daughter from overexposure! Don’t forget to also use non-sunscreen sun protective measures such as wearing hats, sunglasses, long-sleeve rashguards for infants and toddlers and seeking shade whenever possible. If you or your child does get a sunburn, I have found the Beautycounter Cleansing Balm to be super helpful in soothing and clearing up burns quickly. 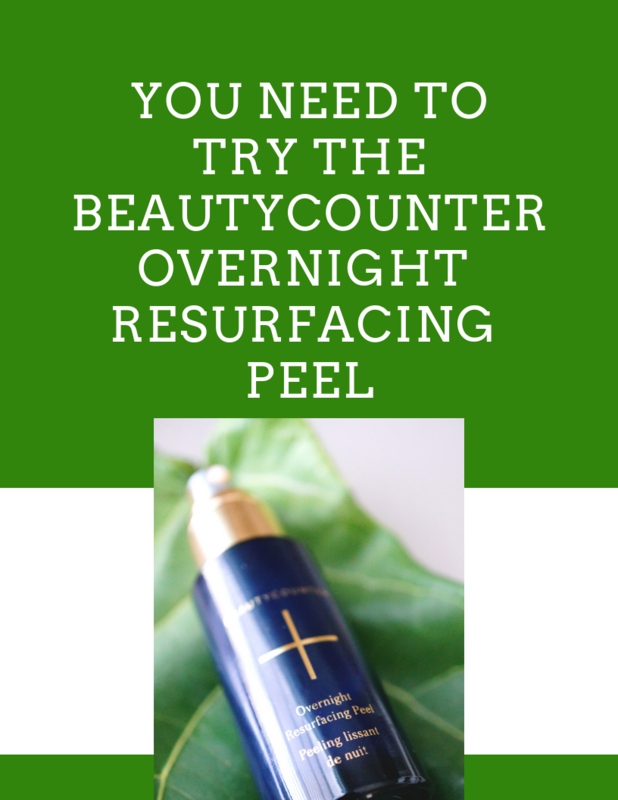 Just apply as a moisturizer and leave on overnight. 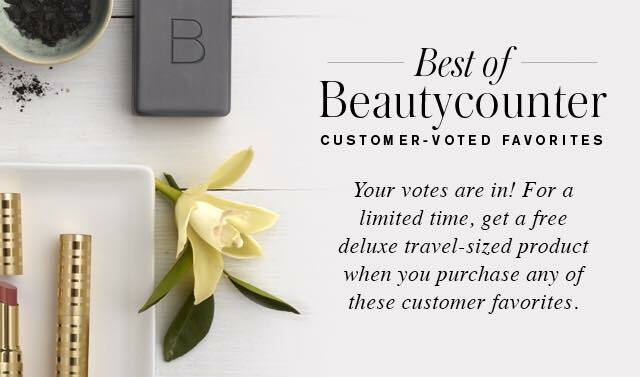 UNTIL APRIL 30TH, 2017: Purchase a Beautycounter Protect All Over Sunscreen & receive a free deluxe travel size product of your choice. Be sure to choose your free product at checkout when it prompts you!